A low-FODMAP diet has been increasingly popular as a strategy to reboot the gut in preparation for re-establishing microbial diversity in the gut. FODMAPs are specific "fermentable" forms of sugar in the diet. They are acted on and broken down by bacteria in our gut. FODMAP stands for Fermentable, Oligosaccharides (Fructans, Galactans), Di-Saccharide (Lactose), Mono-saccharide (Fructose), And, Polyols (sugar alcohols: sorbitol, mannitol, xylitol, maltitol). 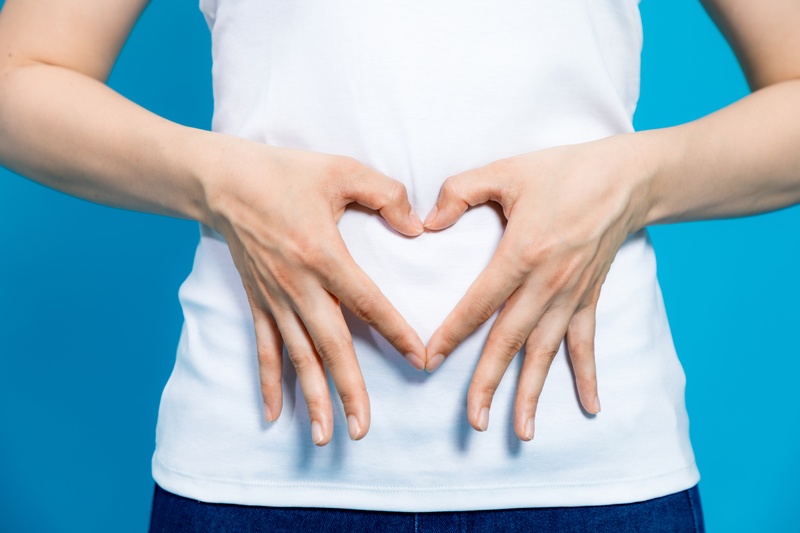 Research shows that when you give the digestive system a break from high-FODMAP foods, gastrointestinal symptoms can improve. While you may feel limited on a low-FODMAP diet, there is actually a lot of variety to choose from, and if that is not enough, remember it is intended as a short-term diet. Expert Tip: It is easier to focus on what you CAN eat rather than getting confused on what is high-FODMAP or not. The high-FODMAP list is useful for what to watch out for on labels. 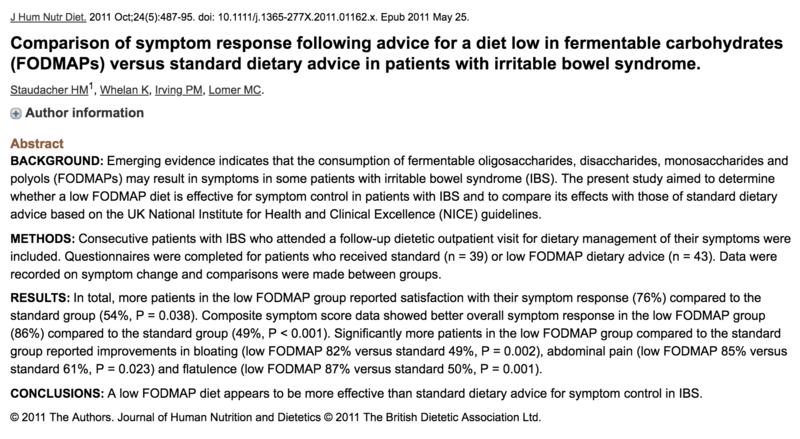 Staudacher, et al (2011) demonstrated that 76% of individuals with Irritable Bowel Syndrome (IBS) were satisfied by their symptom response to a low-FODMAP diet. Aside from IBS, low-FODMAP diets also show benefits for inflammatory bowel disease (IBD) such as colitis or Crohn's (2; 3; 4), Small Intestinal Bacterial Overgrowth (SIBO) (5), exercise-induced gut symptoms (6; 7), fibromyalgia symptoms (8), non-Celiac Gluten Sensitivity (9; 10; 11; 12) and the prevention of diverticulitis (13). Why are FODMAPs a Concern? FODMAP carbohydrates are fermented (broken down by bacteria) in the last part of the small intestine and the beginning of the large intestine. IBS is characterized by bloating and subsequent fullness, tightness, or distention (present in ~96% of cases) in the gut (14). The symptoms can appear following the consumption of FODMAPs. FODMAPs have likely become a more prominent digestive concern due to the ever-increasing consumption of high fructose corn syrup, soft drinks, and fruit juices in our diets over the last 50+ years (15). When fermented earlier in the GI tract or in unnatural amounts, FODMAP byproducts can create problems. Foremost, gas is produced which can include methane, hydrogen, and carbon dioxide gas. The gas causes physical discomfort as well as constipation. Other breakdown (or partially broken down) products can also attract water into the intestines contributing to cramping, pain, as well as diarrhea. FODMAPs are not just sugars - they also have a "prebiotic" effect - meaning that they serve as fuel for intestinal microbiota. We have trouble digesting them without help from our little microbial friends. If too much fermentation is happening too early in the digestive tract - that means more gas formation, cramping/pain, and bloating. It also means more bacterial growth too. Due to their prebiotic effects, excess dietary FODMAPs invite wrongful migration, growth, and balance of bacteria in the intestine - contributing to leaky gut, dysbiosis (a general imbalance of bacteria), or small intestinal bowel overgrowth (SIBO). Once an imbalance presents itself, your system gets caught in a vicious cycle. Dietary FODMAPs will continue to feed bacteria and produce gas - except now, the bacteria may be present in the wrong places and in the wrong amounts in the GI tract. You can get both incomplete and excess fermentation - creating cycles of discomfort, as well as gas, bloating, constipation or diarrhea that can differ person-to-person. It can be very difficult to balance the gut again without breaking the cycle. A low-FODMAP diet helps to break that cycle. Because FODMAPs are otherwise healthy for healthy guts, once imbalances present themselves, you can create a vicious cycle where you can be eating healthy foods, but still experiencing gastrointestinal discomfort. The solution is to break the cycle and give your system a break from the FODMAPs. This allows the gut to balance and resettle. A low-FODMAP diet can be very helpful over a six week to multi-month period to reduce symptomatology, break patterns of constipation/diarrhea, and allow other aspects of care a "window" to work. If you have autoimmune symptoms in addition to your GI discomfort, you should pay more attention to eliminating immune-sensitive foods (dairy, wheat, eggs, corn, soy, nightshade vegetables, etc) in addition to high-FODMAP foods. Because of the popularity of the low-FODMAP diet, and its success, individuals may stay on it for extended periods of time. This is NOT preferred. A low-FODMAP diet limits you from otherwise healthy foods. It is NOT intended (or preferred) as a long-term dietary solution. It is a transitional diet to help the system find balance again. The goal is to be able to tolerate high-FODMAP foods again and integrate diverse sources of fruits, vegetables, roots, tubers, and legumes in the diet. A low-FODMAP diet limits healthy foods in the diet and can narrow a person's diet choices. When food intake lacks diversity - it will limit microbial diversity in the gut too. Limited diversity of gut flora makes us more vulnerable to leaky gut, food sensitivities and intolerances, and micronutrient deficiencies. Without re-challenging yourself to foods, your system can become increasingly sensitive and "trigger-happy" the longer you maintain a limited diet. You tolerate less and less food. So if you're like me and maintained a strict diet for any period of time, it might be time to slowly challenge yourself with a wide variety of foods to build back your tolerance and strengthen the integrity of your gut. Diverse food gives the body diverse compounds to work with to help us respond to challenges and express health. This does not mean that you can add ice cream and cookies back into your diet - it means adding lots of colors and varieties of the healthy stuff. Once overgrowth is cleared and intestinal motility restored (to prevent migration of large intestine bacteria into the small bowel), high-FODMAP foods are slowly reintroduced as tolerated. " The overarching goal of gastrointestinal health is to support diversity of gut microbiota. These microbes are our friends. There are as many as ten bacteria cells in our gut for every one human cell in our body. When they are happy - you'll be happy ten-fold. Dietary FODMAPs play a healthy long-term role in promoting gut diversity. The rub is that dietary FODMAPs, due to their prebiotic properties (growth-promoting), will maintain unhealthy imbalances when those imbalances are present. Deal with the imbalances first! This involves pharmaceutical and/or herbal antibacterial, antifungal, pro-motility, and/or anti-inflammatory approaches. THEN, worry about adding back probiotics, prebiotics, and high-FODMAP foods when the system is more tolerant. A period of bacterial killing/starvation and restoration of gastrointestinal motility may be necessary alongside a low-FODMAP diet before starting any reintroduction probiotics, prebiotics, or high-FODMAP foods. If reintroduction of foods promotes a recurrence of symptoms and bloating, it is likely that the flora imbalance and/or motility issues still exist. If a low-FODMAP diet is not enough, sometimes even a more restrictive diet plans such as an Elemental Diet (powdered shakes that contain complete nutrients in pre-digested form) or Autoimmune Protocol Diet (a stricter "Paleo-style" diet) may be warranted. When appropriate, these can also be combined with low-FODMAP eating. Go back and address those issues more aggressively alongside a continued low-FODMAP diet. This back-and-forth balancing act between crowding out overgrown flora and adding/feeding the good flora is what can make your gut reboot protocol confusing & frustrating. Ultimately, careful navigation of these steps is what will make your protocol successful too! Focusing first on clearing, starving, and killing bad bacteria, then adding back good bacteria, and finally adding/maintaining diversity of the gut microbiota is what makes the difference between a relapse in symptoms versus sustained restoration of gut function. In other words, the slow & frustrating way IS the "fast" way. A low-FODMAP diet is not a FODMAP-"free" diet. FODMAPS are prevalent in many foods. The diet acts to reduce their load and impact when intolerances and microbial imbalances are present. 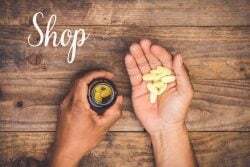 Pharmaceutical and botanical antibiotic care, as well as careful selection & reintroduction of probiotics are included alongside a low-FODMAP food plan. A low-FODMAP diet is not an end to itself. See it as another tool that can play and important role in getting your gut back on a healthy track. 3.) Integrate: follow a modified low-FODMAP plan for 2+ months before returning to plant-rich "Paleo-style" diet as tolerated. For recipes and a complete resource guide for following a Low-FODMAP diet. Download the FODMAP Diet App by Monash University (the original creators of the low-FODMAP diet plan). It costs $12.99 in the Apple App Store and $9.00 in the Google Play store. When first reintroducing FODMAPS in the diet, it can be useful to start with measured doses of supplemental prebiotic fibers (partially hydrolyzed guar gum, inulin, potato starch, etc). I personally like TruFiber by Master Supplements as partially hydrolyzed guar gum (PHGG) is well-tolerated by individuals with both constipation or diarrhea-dominant symptoms. Potato starch (Bob's Red Mill potato starch at the grocery store works just fine) - can also be slowly integrated in measured doses. Prebiotics that tend to get viscous or "gummy" (inulin, larch arabinogalactan, etc) may be less tolerated at first - I generally wait a little longer to introduce those such as Biotagen by Klaire Labs. Start low and work up your dosage of prebiotics to tolerance prior to full reintroduction of high-FODMAP foods. I like supplementary prebiotics because they can be measured and titrated up slowly, instead of initial guesswork with dietary sources. Once you feel comfortable with your handling of supplementary prebiotics, you can start adding high-FODMAP foods more assertively. While prebiotics can be a part of your everyday supplement plan, long-term you can lean on food sources as long as you're getting good dietary variety. It is not uncommon (and sometimes necessary) for a treatment protocol to last 9-12+ months while you kill off overgrown bacteria, re-establish motility, re-introduce diverse gut flora, and "test" your progress by slowly adding back supplementary and dietary prebiotics. To maintain changes after your composition has been restored, it is important to consume a HIGH diversity of fibers from a WIDE array of fruits, vegetables, roots, and tubers in the diet. This will maintain motility, promote diverse gut flora, and prevent recurrence. Many sensitivities, intolerances, and problems develop because of limited diversity of the diet (eating just corn, dairy, wheat, dairy and soy combinations all the time!). Of course, occasional courses of antibiotics, high alcohol consumption, high sugar consumption, or high stress can also throw off the gut and can lead to similar issues. It is not uncommon to sway back and forth between stages of "crowding out" flora versus "adding back or feeding flora" as your body tolerates. 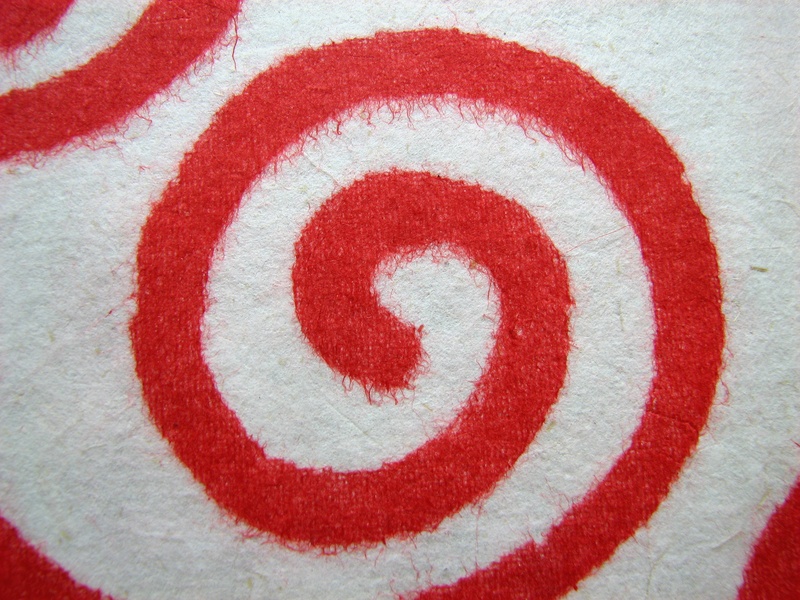 It is not abnormal to go through "detox" periods once or twice a year to reroute the ship too! I liken the process to a pendulum swinging back and forth....the peaks and valleys of each progressive swing travel less and less as your body heals and becomes more responsive to your strategies - ending in a state of equilibrium & harmony characterized by diverse gut bacteria in the right places and in healthy amounts. A low-FODMAP diet is a great clinical tool to get you there.